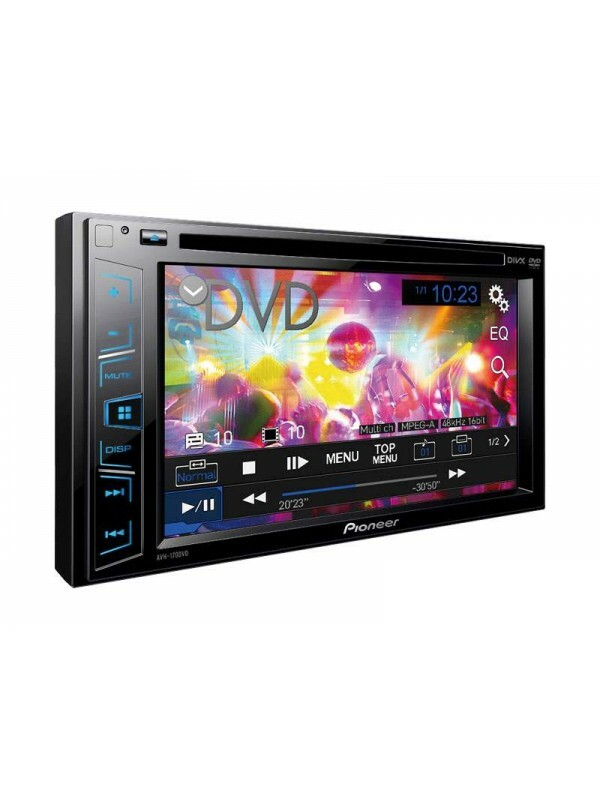 Smartphone compatibility in your car A/V system - Pioneer's AVH-X170DVD DVD receiver has put the spotlight on smartphone compatibility with features like Advanced App Mode and MirrorLink™ functionality. Its 6.1" display offers intuitive touchscreen controls that allow you to make changes by tapping, swiping, or dragging your finger, plus user-friendly menus that you can customize to your liking. And thanks to WVGA technology, Pioneer's DVD receivers boast twice the resolution of most multimedia receivers, meaning you'll have a clearer, sharper picture on your screen. 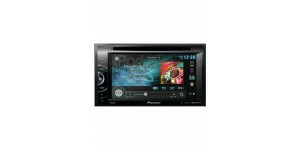 This Pioneer features a customizable 6.2" touchscreen display. MirrorLink™ compatible - The MirrorLink system provides unparalled in-dash control over an ever-growing list of Android™ smartphones, including the popular Samsung Galaxy S III and Nokia Symbian models. With MirrorLink, you'll enjoy touchscreen control from your Pioneer over music, phone contacts, and select apps — connect your compatible Android phone with Pioneer's CD-ML100 MirrorLink adapter (not included), and enjoy a seamless experience when you slip behind the wheel. 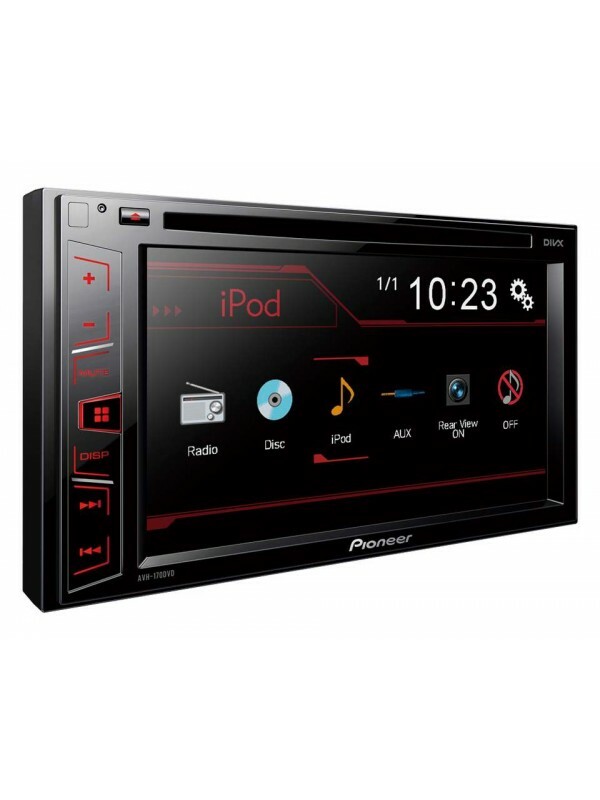 Advanced App Mode - Pioneer integrates your iPhone® into the driving experience with Advanced App Mode. It allows you to launch and control compatible iPhone apps from the face of your receiver, putting a variety of music, navigation, and social media apps at your command. To enjoy Advanced App Mode, you'll need Pioneer's CD-IU201S cable for iPhone 4 or 4S, or the CD-IV203S (available soon) cable for iPhone 5. You can see the latest compatible apps here. Video and touchscreen controls - The 6.2" LCD screen on this Pioneer plays DVDs in bright, clear detail when you're parked. When you're on the road, you can entertain your passengers by sending a movie from the receiver to a rear-seat screen — video playback for iPhone 5 requires this Pioneer cable pack. And of course you can plug in a rear-view camera to play it safe in crowded parking lots. Don't forget the music - You can play just about anything on this Pioneer, including just about any kind of disc or USB storage devices loaded with files. And when you connect your iPod to the USB input, you'll be able to use the receiver's controls to access your playlists. You can use handy tools like Alphabet Search and Link Search to find the song you want fast. 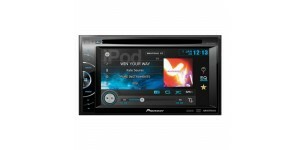 You can also use Pioneer's CD-IU201S cable to connect your iPhone to the receiver, then take charge of your Pandora® account from the touchscreen, complete with thumbs-up and thumbs-down controls. Android users aren't left out in the cold either. If your Android phone supports the media transfer protocol (MTP), you'll be able to browse and play back the music that's stored on your phone, no extra app required. Lights...action! - Pioneer's exclusive MIXTRAX feature creates a DJ-like experience with content from select sources, with special effects between songs and variable-color lighting that pulses with the beat of your music. You can even tailor the receiver's appearance to your taste by choosing from five display colors and 112 key panel illumination options. Because great sound matters - The receiver's powerful built-in amplifier delivers crisp sound, while the 8-band equalizer offers plenty of ways to tweak the output. Three pairs of preamp outputs make it easier to connect external amps, and this receiver offers an auto-equalization feature to tune your system (microphone required). Want to keep your car's steering wheel audio controls? 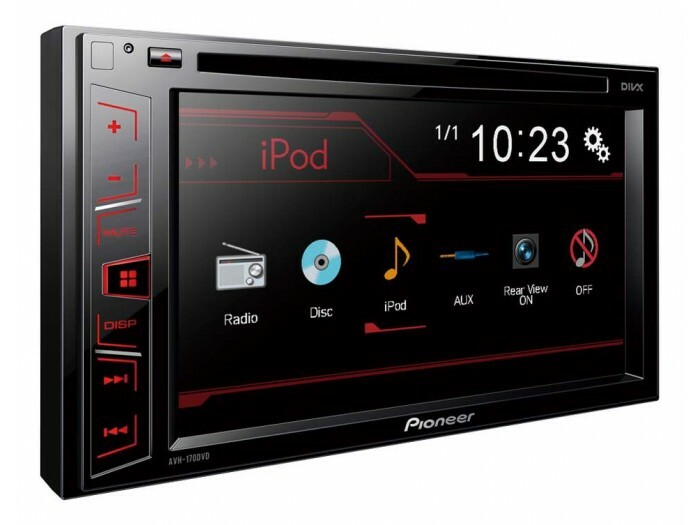 - In most vehicles, you can use an adapter (not included) to connect your vehicle's steering wheel controls to this Pioneer stereo. Connect a few wires, then program the adapter for your particular car and the Pioneer, and you'll retain the convenience of your steering wheel controls. 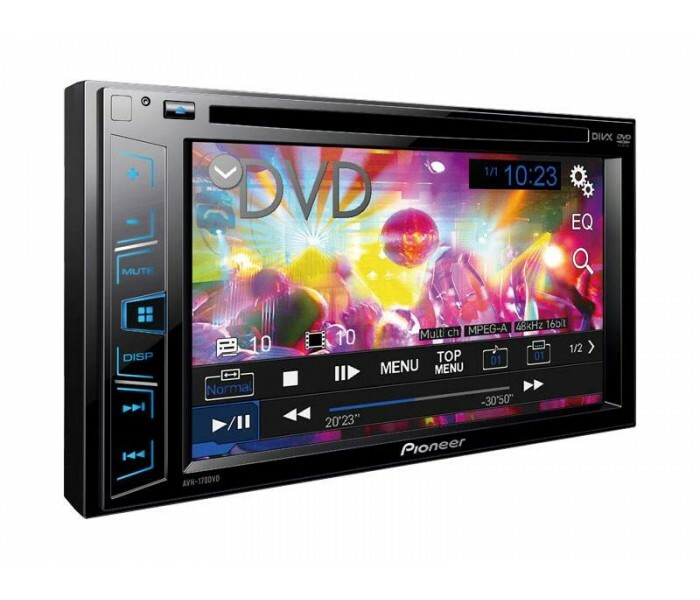 Watch all the video you want right from the dashboard of your car with the Pioneer AVH-X170DVD 6.2" touch screen AV tuner. Take your entire music collection on the road - whether from DVD, CD, MP3 or USB, the AVH-X1600DVD car tuner is built to play all your tracks from almost any source. 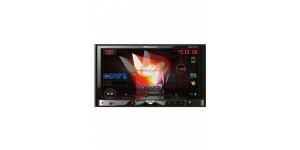 General features Maximum power output MOSFET 50W x..
CD, DVD player and Radio, what more could you need? How ..